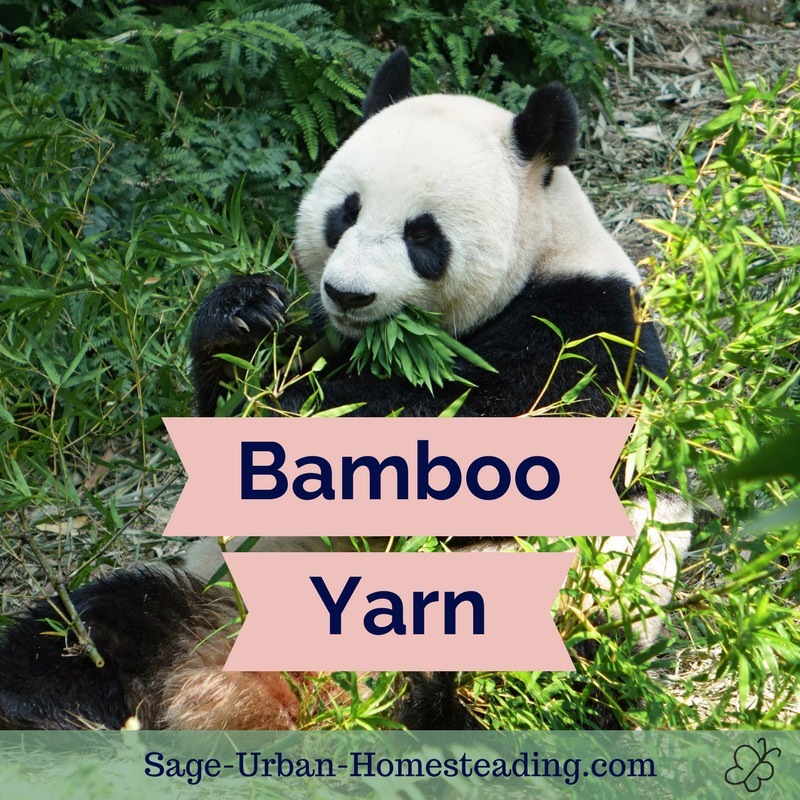 The production of silk yarn is very green and environmentally friendly since no pesticides or insecticides are used, and it involves sustainable trees that keep growing year after year. Silk cloth has always been associated with nobility and wealth. You probably knew that, but did you know these interesting facts? Muslim men are not allowed to wear silk for religious reasons, but it's ok for women to wear. Silk thread is popular in silk ribbon embroidery and bunka embroidery. It takes 2500 to 3000 cocoons to produce 1 yard of woven fabric. I have a true appreciation for silk yarn now that I have danced around a mulberry bush collecting leaves while raising silkworms and seen how the silk fiber is extracted from cocoons. Hand wash silk in cold water and lay it flat to dry. Do not iron. Silk can shrink some initially, but it will not shrink over time like cotton. It will actually stretch over time since it has no elasticity or memory. 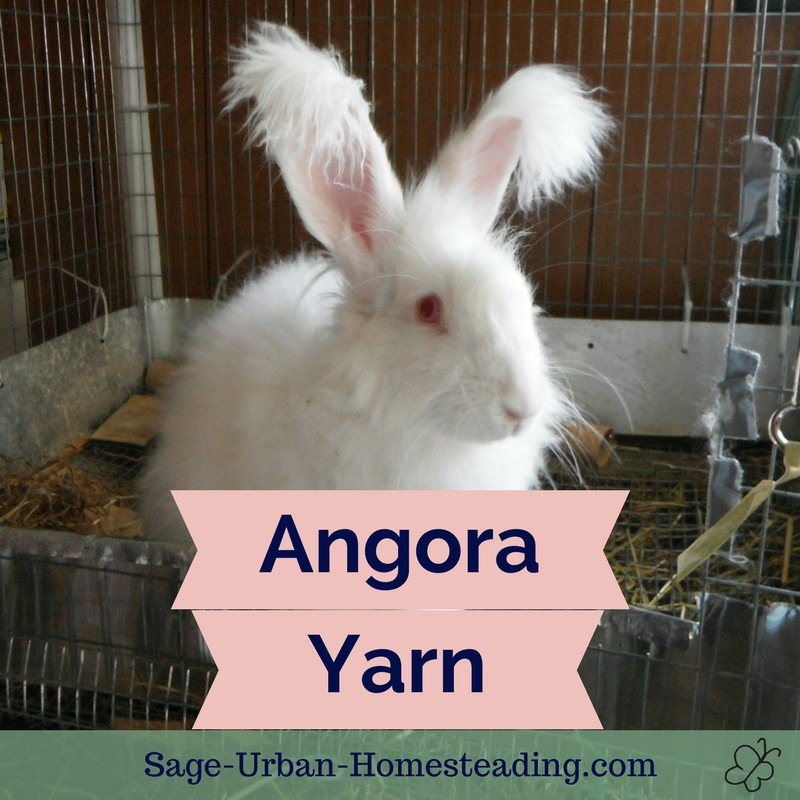 Softer yarns stretch more, so use tighter stitches for knitting and crochet. Perspiration turns silk yellow and damages it over time, so it's important to keep silk clean. It's susceptible to insect damage from the carpet beetle, especially if it's dirty. It's amazing that silkworms have produced the silk fiber used to cloth royalty for centuries. Insects are often regarded as lowly and disgusting, but not this worm! Silk fiber is known for its high luster. It shimmers, but it is not slippery and good for drop spindle spinning. Silk is very strong when reeled because the fibroin is spit by the worm in one long strand between 275 and 1640 yards (250 and 1500 meters). There are 1760 yards in a mile. 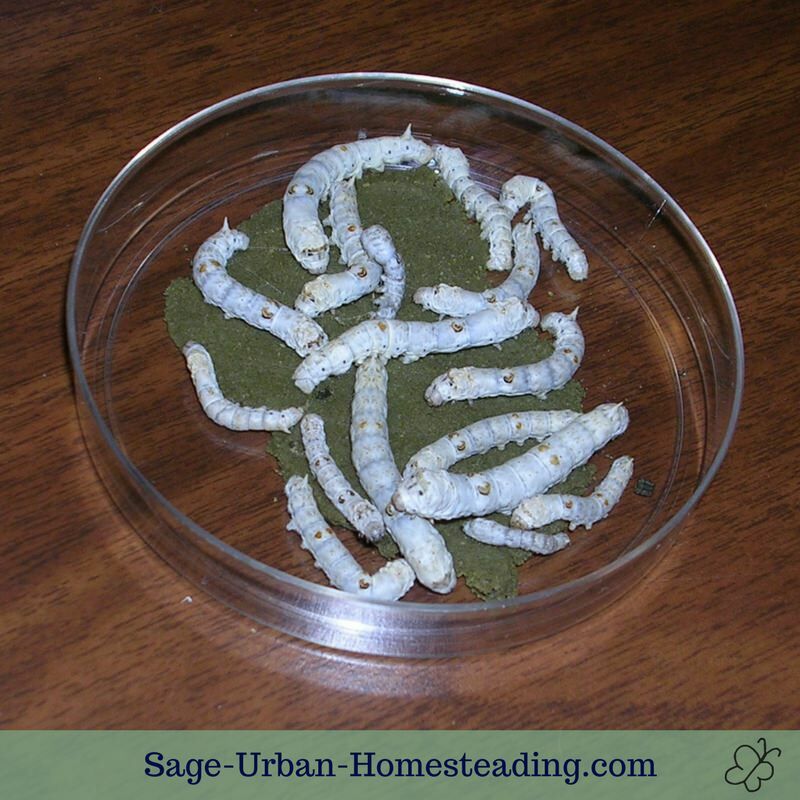 Here are 17 Bombyx mori silkworms that are about halfway through the growth cycle. It's a strong fiber but weaker when damp. Silk is also weakened by the sun. It's absorbent gut resistant to mold and rotting. 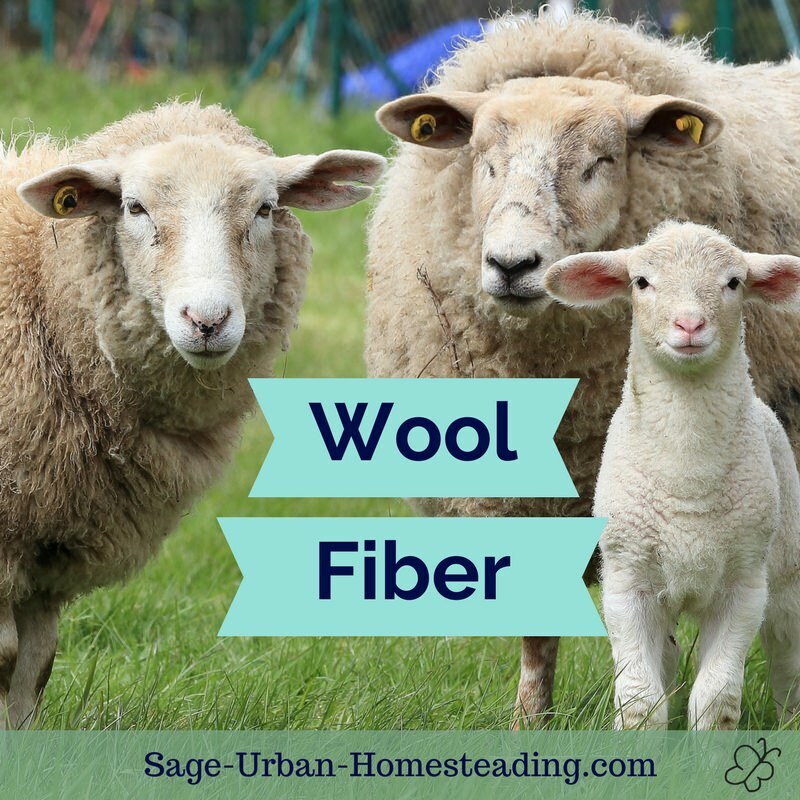 It doesn't have any elasticity, so blend it with wool if you need a little stretch. It's good for lace patterns because it holds the blocking. Silk is the only type of animal fiber resistant to the wool moth, but it's still vulnerable to the carpet beetle. It's warm and soft with a nice drape. Most people are surprised at how warm silk yarn can be because we associate it with hot climates, but nights can be very cold in the desert or up in the mountains. You often see silk used to make thermal underwear. Silk was developed in ancient China with the earliest examples dating from 3500 BC. Some ancient textiles have been preserved remarkably well in Chinese tombs. There was ancient trading with many countries, including Egypt. The famous Silk Road trade routes ran between Europe and Asia. The Chinese emperors tried to keep the silk production methods a secret, but it was established in India by 300 AD. Silk is still popular in India for use in saris. Silk production did not reach Europe until 550 AD. There is a legend that monks smuggled the worms and mulberry seeds into Constantinople. Western trade with Asia was interrupted during World War II, so a synthetic fiber imitation called nylon was developed. It is similar to silk, but not the same. Viscose rayon is another type of artificial silk. This domesticated insect only survives in captivity and feeds on mulberry leaves. The mulberry silk is very white. It can be reeled off the cocoon in one long strand, which involves a dead moth, or the moth can emerge so that the strands are cut and have a golden stain, but that can be bleached out. This is a type of semi-domesticated silkworm that feeds on oak. The tussah silk has a more golden color. These are the knots and neps left after combing and carding. 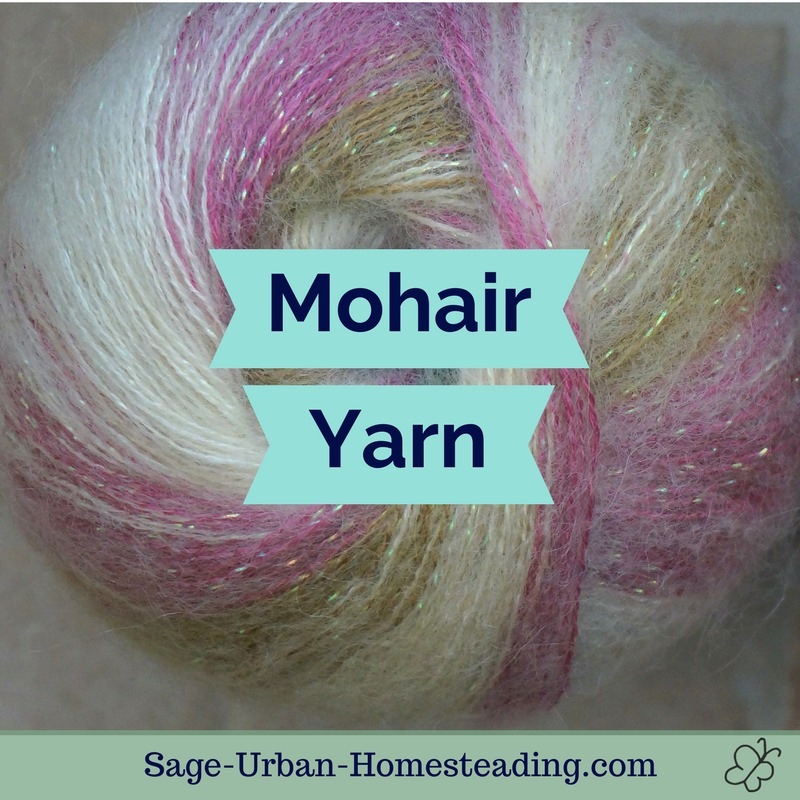 Blend it with other fibers to add texture to yarns. Sometimes it has an odor but that can be washed out. For the best silk fiber, the cocoons undergo stifling to kill the moth with heat or steam. You end up with a dead moth inside, but the silk is in one continuous long strand that can be reeled. Soak the cocoons in hot water to degum them and find the strand ends. Reel a couple of strands together. You can add some twist by using a croissure as you reel. If the silkworms are left to mature and hatch as moths, they will break strands to emerge from the cocoon. The silk strands turn brownish at that spot. It is still useable, but not as strong. This type of silk is called peace silk or ahimsa silk. Ahimsa is a Sanskrit word meaning "a reverence for life". All cocoons must be degummed in hot water to remove the sericin glue holding them together. They can then be reeled or stretched on a little frame to create silk hankies or mawata for spinning silk yarn. 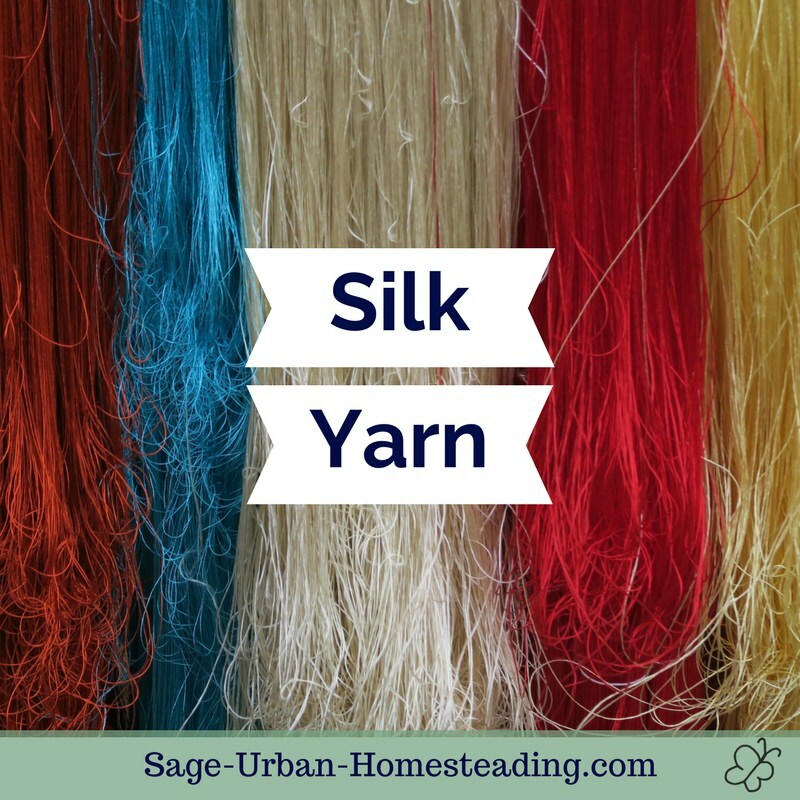 Silk yarn requires 50% more dye than wool to get the same level of color saturation, but it never fades and looks great.